Looks like you are doing well. Curious if you have a local source for grow bags in this area? I am in Gainesville. Running short on 3-gal. pots and wanting to go larger. I don't. The couple I have I just threw together with landscape fabric. The first couple were even just stapled together out of curiosity. Fair enough. Guess the Home Economics class I took in High school will give me enough to sew or field patch something together...Has worked for me for 40+ years. That could get interesting. Wet season is upon us here this week! Best of luck. I apparently cancelled (or never hit post) on what I thought was my last update about three weeks ago. 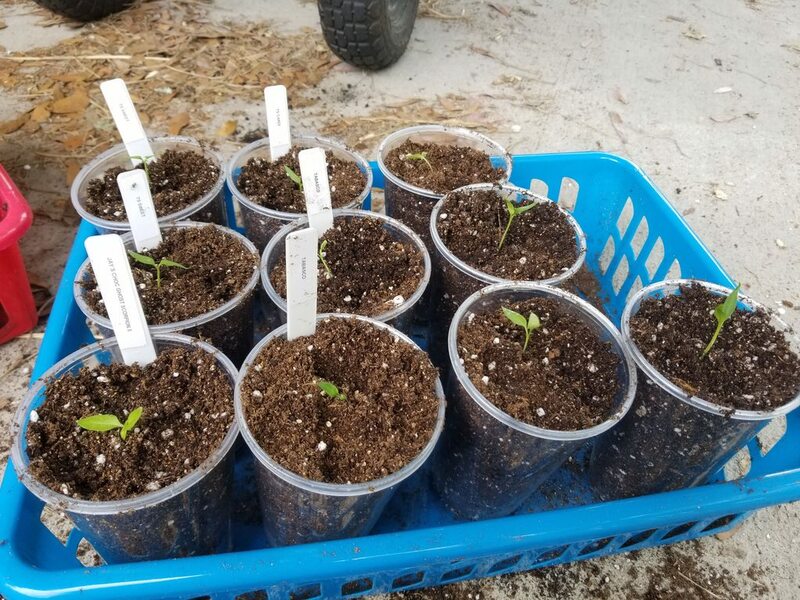 I had a few varieties that didn't germinate. I wanted to try the Fatalli, but those suffered at my hands by over-wetting after getting too dry when they were just coming out of the seed casing. 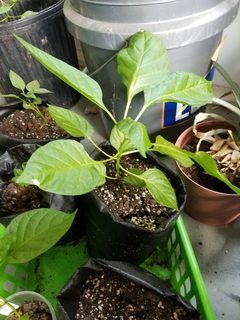 Part of me wants to throw a couple more seeds right into a solo cup and see what they do, since it's a variety that I want to try, though it's pretty late. Having 3 younger boys I cook a LOT of mac and cheese. I'm also looking for ways to sneak new flavors in that kids will still like and give me and hubby something different. I didn't take a pic til the next day's leftovers, so it's looking a bit dry, but it was awesome! 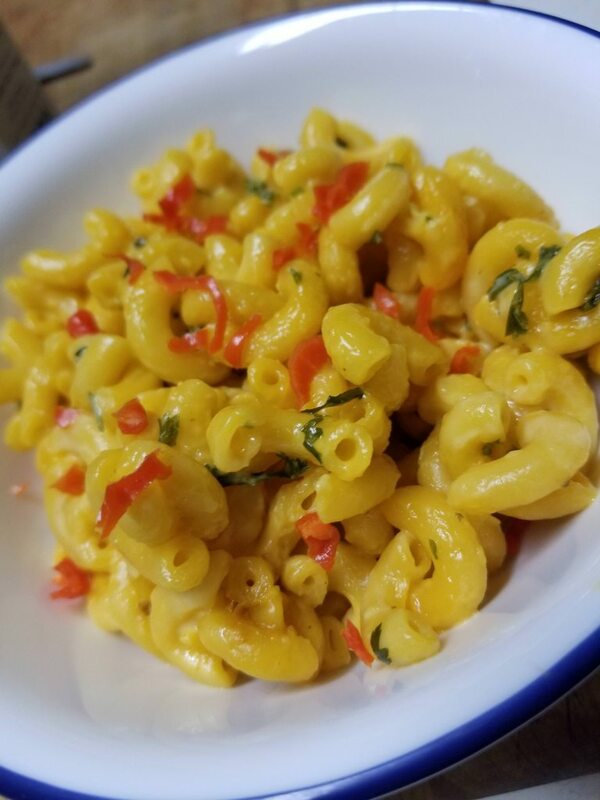 Velveeta, cheddar, sour cream, fresh cilantro and a few random seasonings (and a bit of smoke flavor). My bowl got one of my fresh habs from first mini-harvest sliced and mixed in. Somehow I had completely deluded myself that I got some decent pics with my phone today. A lot of the individual pics ended up... out of focus and cut off? A couple of weeks ago, I also decided it was sink-or swim time for my most mediocre YBS. It got kicked outside along the back porch. It was probably 2/3 the size of my largest. It's on the bottom right, pic was probably a week or so before I kicked it out for more than a pic. It has caught up to the biggest, getting the same nutes and watering routine as the ones inside the porch. It looks somewhat like the spider mite damage I had on my morning glories last year maybe. It's only this one. It also has maybe some calcium deficiency? I do need to fill the pot the rest of the way. 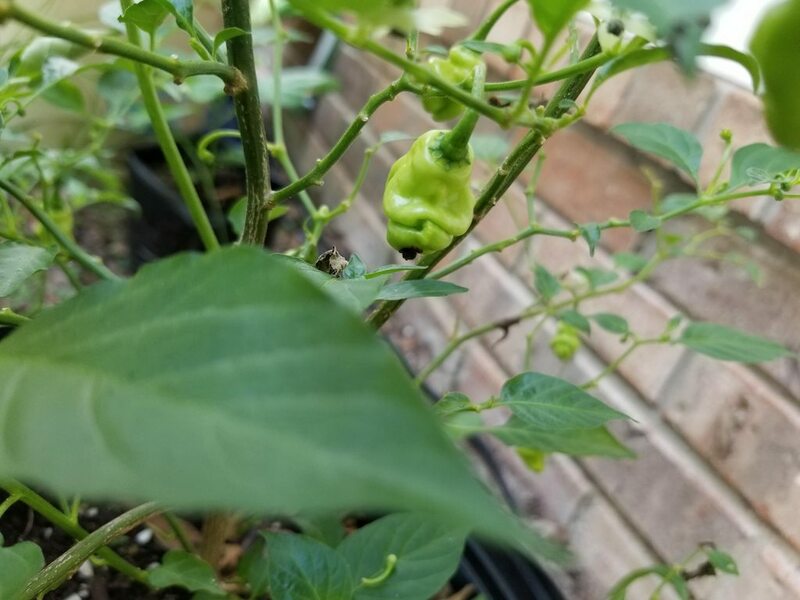 My hab (or maybe hab anyway) is pumping out some pods, and some have a pretty cool shape to them. It lost a few leaves in the heat the other day, but it's filling itself out again from the bottom up. 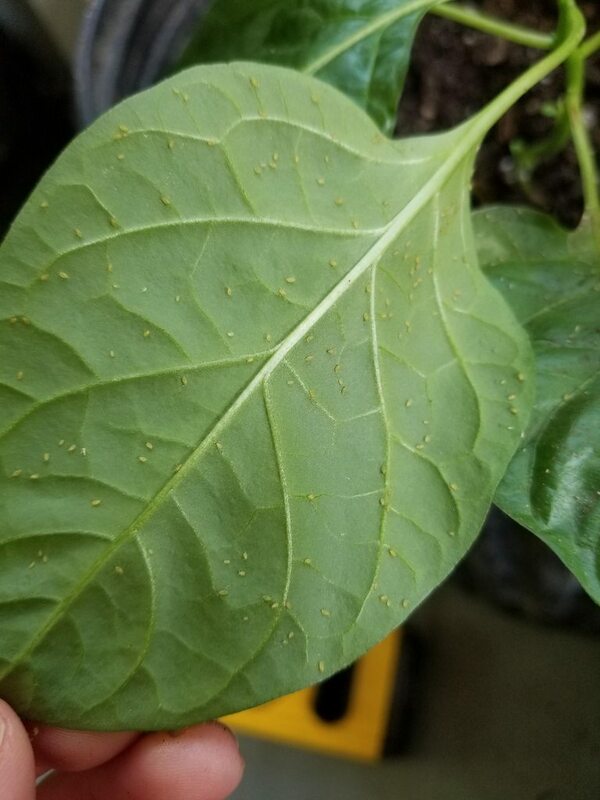 I would recommend some Neem Oil for the Aphids, or, you can flush them off with a garden hose. I do both methods. Yeaahh, all year has been some crazy snowball of things keeping my attention away from my plants. Like the sudden decision to start homeschooling my kids, while still working from home. Season isn't over yet for me at least. 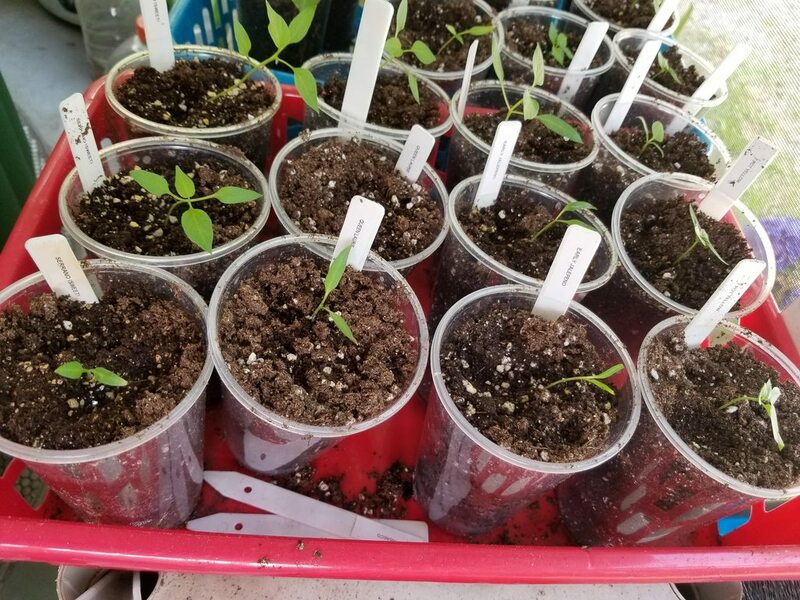 When I realized it was getting too late to pot up all my solo-cup plants, I've just been giving them a bit more Epsoma as needed and let them be. If I can get a pod or two to try from it, awesome, if not, I'll find room for them over the winter. Apart from the couple YBS that I lost earlier in the year when hardening off, I've had no casualties, and my aphids somehow just went away. (I hit the plants with the hose, lost track, and they were gone. *shrug* Beginner's luck? ) 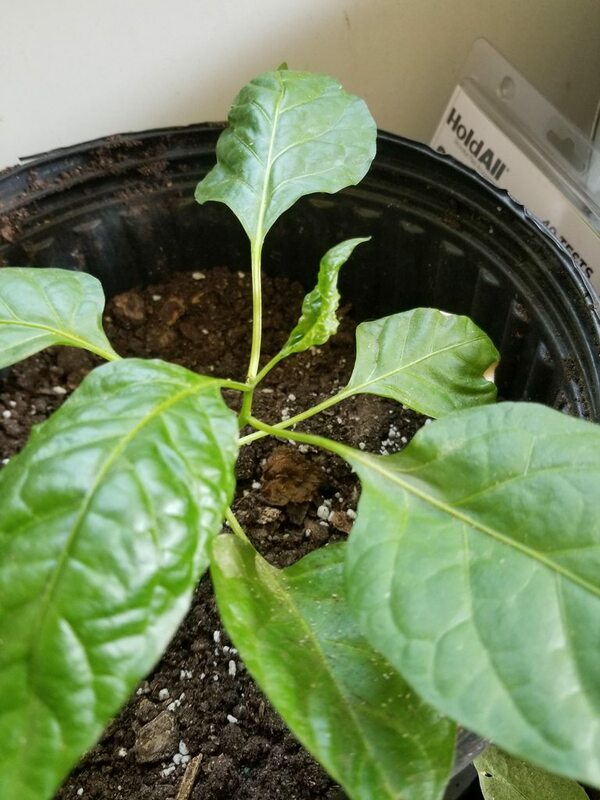 My little red hab has been my only producer until recently with dozens of peppers I didn't even get to. 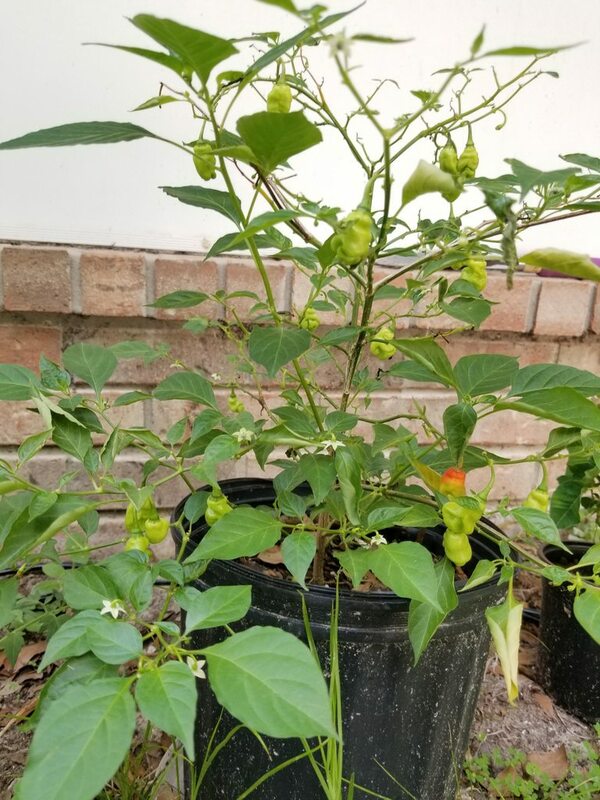 Now I have quite a few YBS ripening and some flowers on a couple of my mystery peppers in solo cups that have just set and I can't even start to take guesses. 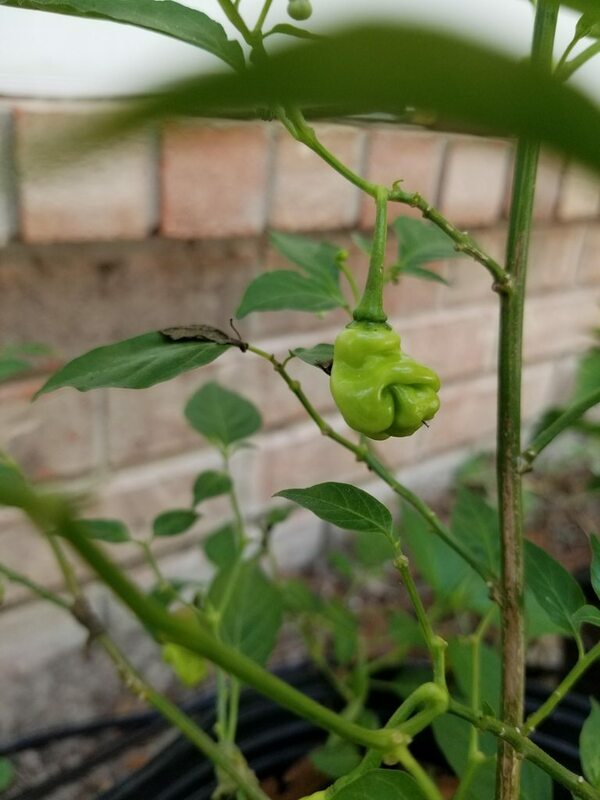 So with my first YBS and sudden insecurity in my heat tolerance, I tried a sliver and decided it was the best tasting pepper my inexperienced taste buds have had. Promptly put a portion on a sandwich. Best simple sandwich ever. (Meat was Boar's Head pesto parmesan ham I believe, mayo, vidalia onion, lettuce, muenster on Italian). Had the same the next day with twice the pepper slivers. Today I got a little cocky with spicing up some Trader Joe's boxed corn and roasted pepper soup with still more YBS and two red habs in not so big of a bowl. It was good but hotter than I expected, for a change. Soon should be some pics of the plants themselves. I've already ordered a couple varieties for next year. Bahamian goat, because I seem to see it everywhere and I'm curious. Black pearl, because they look cool and I had wanted to grow some this year but never ordered. CGN 21500, because they look cool. I'm sure the list will expand for flavors before long. I just have to stop myself from germinating a couple just to see over the winter. No time to do anything ever! ha, I feel you. Great job on home schooling, I wish I was that brave, and always tell myself "If it gets any worse, I will"
You're blessed enough to at least be able to work from home. That's great. You'll LOVE the coyote zan white. 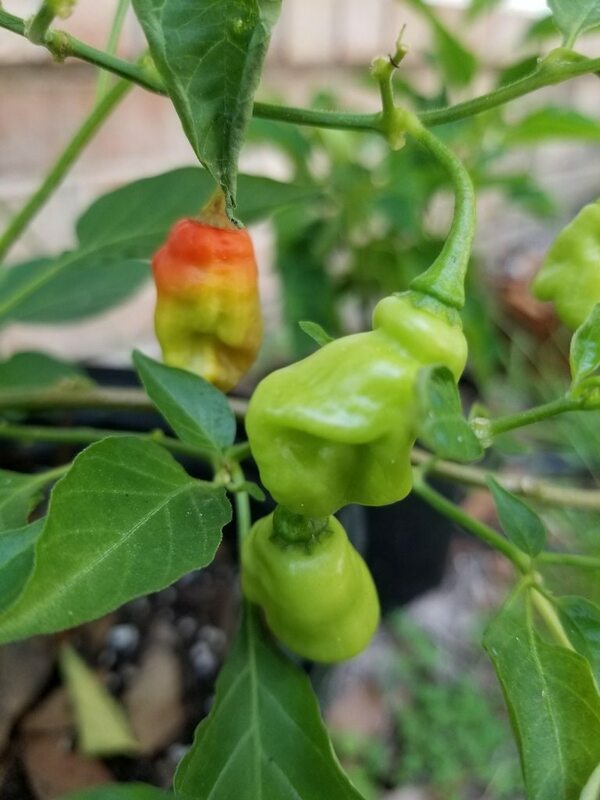 Another one of my all time favorite peppers. Half the time I'm still not sure if I'm that brave. We use an online curriculum, so that is a big hand-holder for me. Overall, it's somehow been less of a headache than dealing with the school and homework. At times they ask me for extra help less than they did just doing homework, and some days they complete their entire school day in less time than it used to take to do homework after school. Working from home is great, especially when I can usually divide my attention enough to help kids with school while still getting my work done. The only crux is sometimes the rest of the family assumes I can divide my attention a great deal more than that, though I appreciate their bode of confidence! I trust you on the coyote zan white, those YBS are probably my current favorite. I believe it's this scraggly looking thing that set one of the bigger growing pods. (This pic was right after giving some much needed nutes. 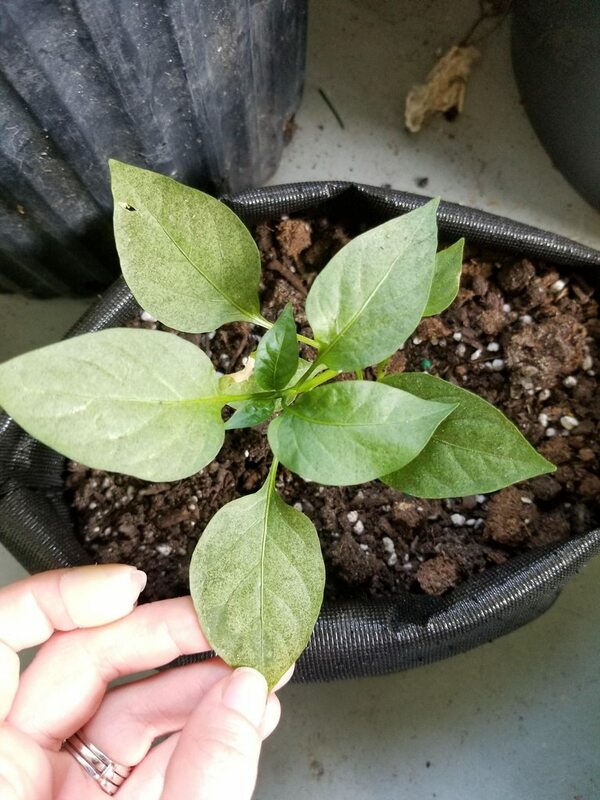 It's gotten more color back and filled out a bit more since I've taken pic) It is one of the mystery peppers, so I have no idea what it will be. etc. I hope I can keep these guys (and those not pictured) alive through winter to get a head start next season! 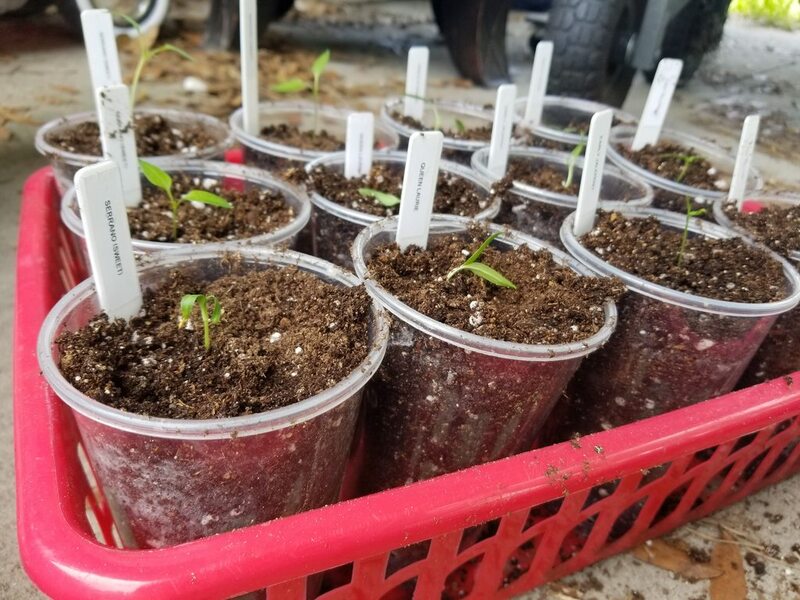 Will you be able to leave those peppers out for the winter? 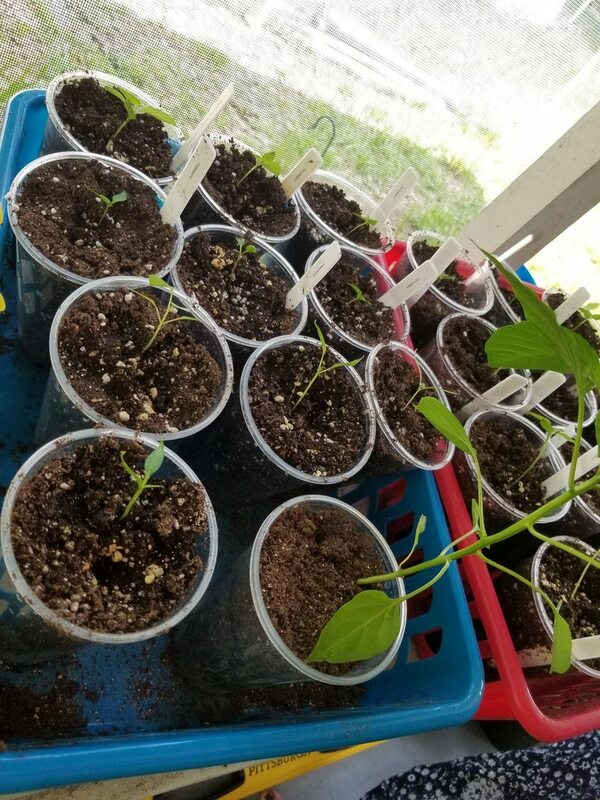 The plants look very healthy for being in the beverage cups. Will you try to pot them up or just leave them in the cups? Good luck with them whatever you decide to do! In their current state of growing all over each other in the tray holding the cups, they are very portable, and have been brought in for our couple of cold nights we've had, and back out during the day. In theory I should be able to keep that up through the winter. I might have to top them/trim them back, but I do plan on potting up as early in spring as I can. 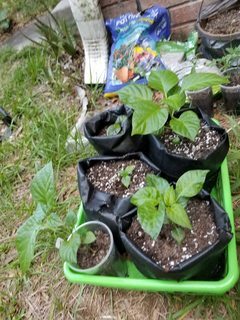 I'm still up in the air for if I want to stick with containers or get some in the ground next year. We fared quite well, I think the only casualty we had was a limb off an oak tree. For one of the storms, we were in tropical storm warning with hurricane warning the next county over, nearly panicked over the fact that we couldn't get the generator started in case of need (it was user error), with plants sitting on washing machine, any tables, etc. 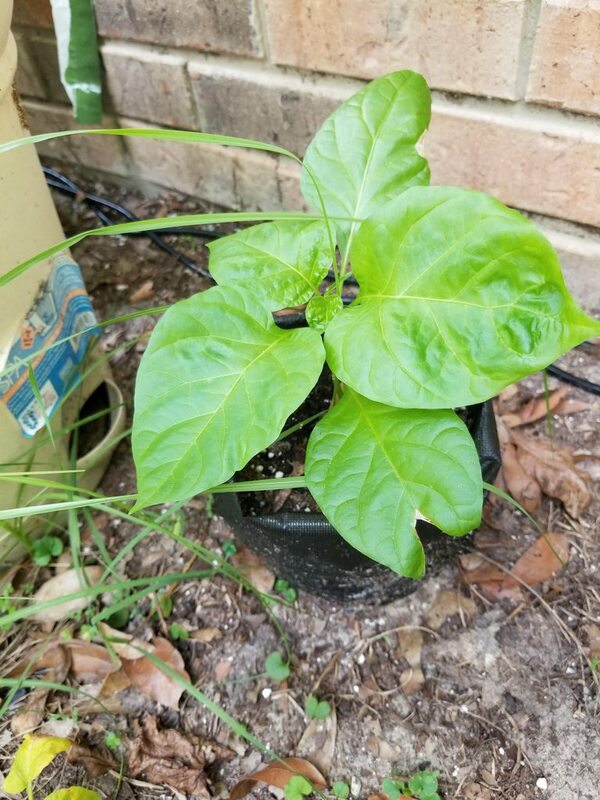 Power didn't even flash off, and we hardly had any winds or rain, and the couple plants in the ground didn't even lose a leaf. This is how those guys ended up overnight- right on the kitchen table. 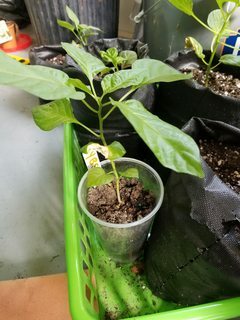 In that I somehow had one of the mystery peppers snapped about 2ish inches from the soil. It is still green, so it is with the rest to see if it does anything. I don't think the guilty-looking 6 year old in the background was the culprit, though possibly the non-visible 4 year old. Next we have a picture of a flower, just because I liked it. I believe it was on a serrano in that mix. I don't remember seeing any purple-tipped flowers on the serranos I grew last year, but I might be crazy. even turn out to be a great plant! 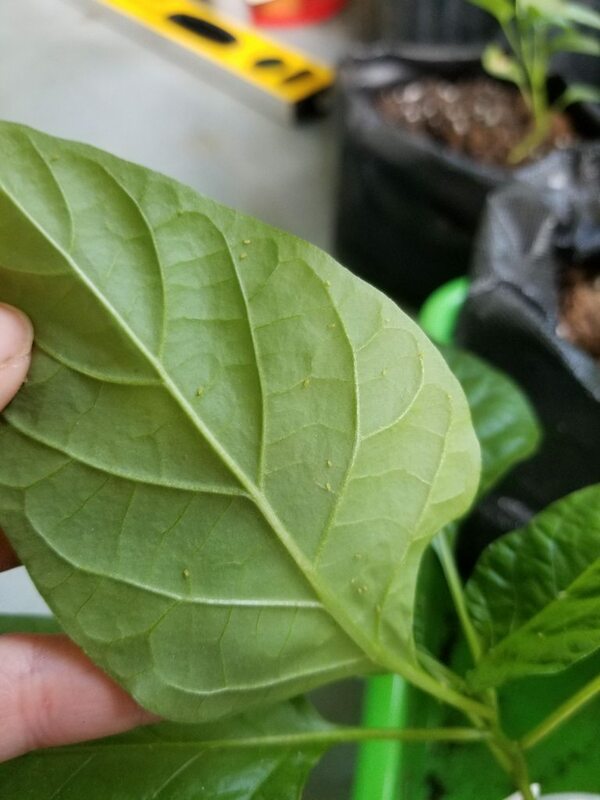 Aphid damage. Their saliva does that to the leaves at newly emerging growth tips. Lots of people mistake it for calcium deficiency. Not for an entirely stupid reason though. Their saliva actually contain calcium binding proteins that effect tube sieving and plant cell division (so it sort of looks like calcium def) funny huh? Here's a some cool peer reviewed findings on the matter. Edited by Pepper-Guru, 04 January 2019 - 02:46 AM. Nice grow, enjoyed the many pics. Im just south of you so those little aphid pricks plagued me too this summer. It broke off again about an inch or so down, most likely due to my clumsiness mixed with it "hiding" under all the other plant's leaves when I move the tray around. But it does have two teeny tiny leaves growing from a lower node still! That's pretty interesting! I admit, half of my biology has leaked from my brain, so I did some side searches and more peer reviewed reading to make sure I understood the processes of how the sieve plates worked and whatnot. Thanks for the tip. 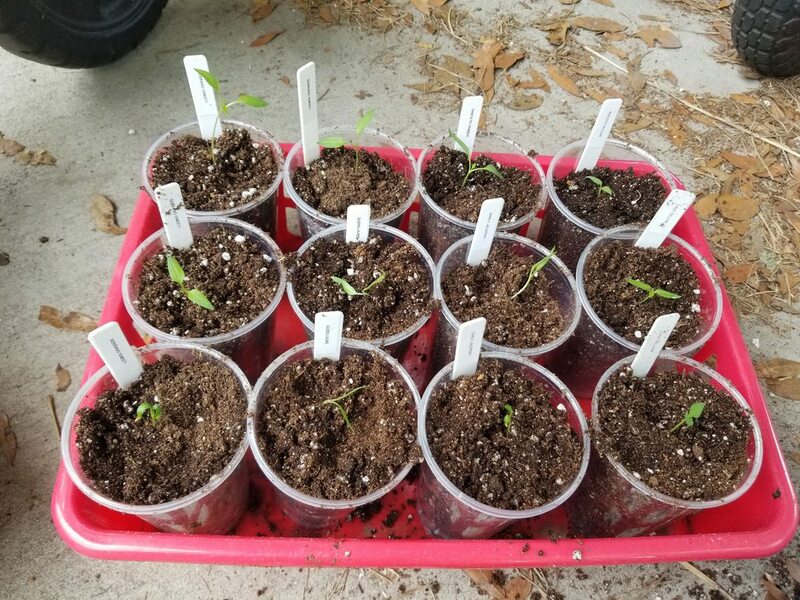 I got off lucky with that batch in that I moved them from my screened in porch to outside just to get them away from the nearby baby plants, and they went away. Now to make a new thread for 2019!